If you are obbessed with makeup as much as I am, you are probably burning a hole in your pocket as well with all of these new releases! I recently went to my Walmart within the last two weeks, and each time I have found tons of new drug store products. 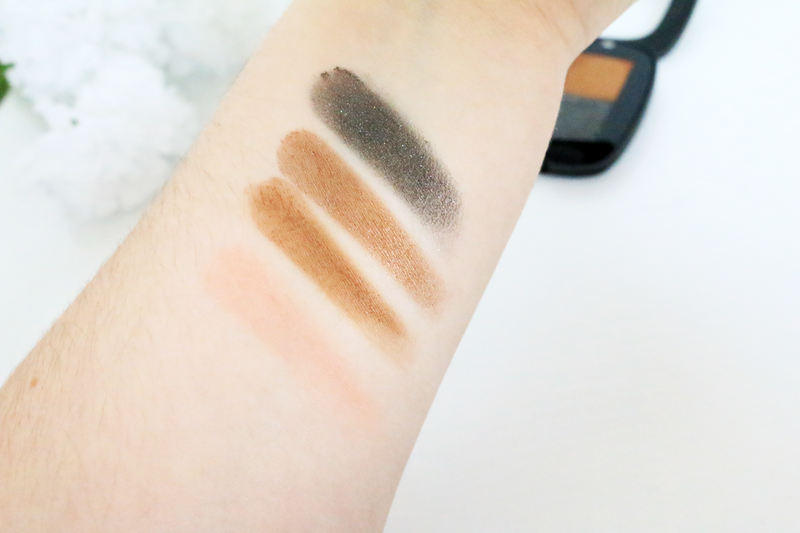 One thing I was super excited to see were these new L'Oreal Colour Rich Pocket Palette's! They are just like the single colour rich eyeshadows, but now in a palette form. I was in love with the single eye shadows so I made sure to purchase a couple of these palettes to try out and see how the quality compares to the single shadows. 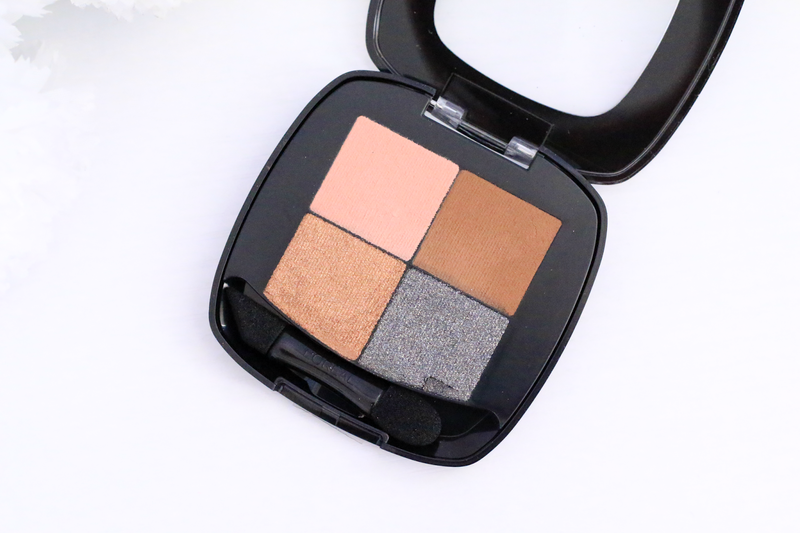 I was never really a big fan of L'Oreal quads before, but oh my goodness, I was very impressed with these palettes. I purchased two to try out so far, and in todays post I will be talking about the quad in French Biscuit. This palette comes with a beautiful mid tone pink with a matte finish, a medium warm toned brown with a matte finish, a shimmery bronze and a shimmery gun metal. I loved the color combination in this palette. You can either create a beautiful warm look, or even a beautiful smokey eye. The texture of these shadows are pretty close to the single eyeshadows. I did notice they had a little bit more of a dryer texture compared to the single shadows. The colors in this palette were pigmented. They do blend out really nice, and did not have any fall out. I noticed the brown matte shade in this palette was a little chalky, but the rest of the shadows performed really well, and had a very nice finish. With the shimmery shades, I didn't notice any glitter falling out was well. 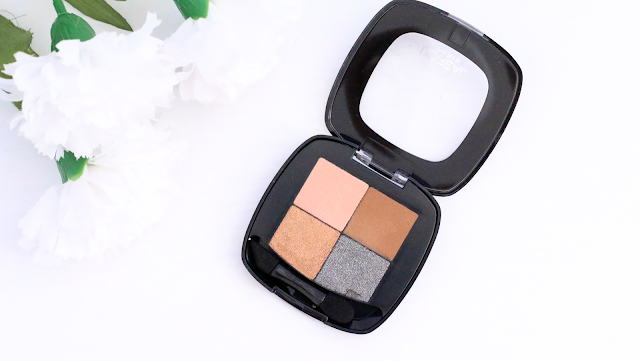 I loved that L'Oreal added different types of finishes with this palette to make it easy to create beautiful and easy makeup looks. I am so happy that this palette performed so well. I love finding gems at the drugstore. Also, these palettes are very affordable. I found mine at Walmart, and you can also purchase them at www.Target.com for $8.99. I have another palette to share with you guys, and I really want to get some more that have more fun colors. I usually go towards the neutrals first just for testing purposes, then I typically go back and go for more bold colors if I love the formula. So I for sure have my eyes on a few more!